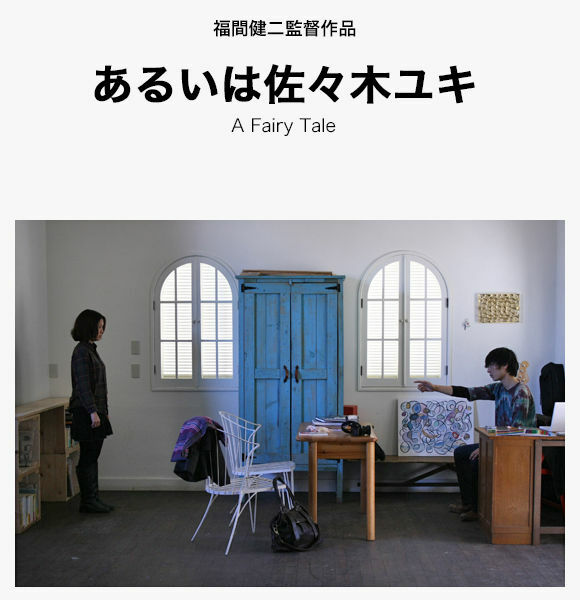 A FAIRY TALE is Kenji FUKUMA’s fourth feature film. It captures a dream and reality of Yuki Sasaki, a twenty-year-old girl by a daring arrangement of interviews, poems, dancing and others. Yuki meets people who watches over her and people who might be her other selves, and parts with them to go to the next step. 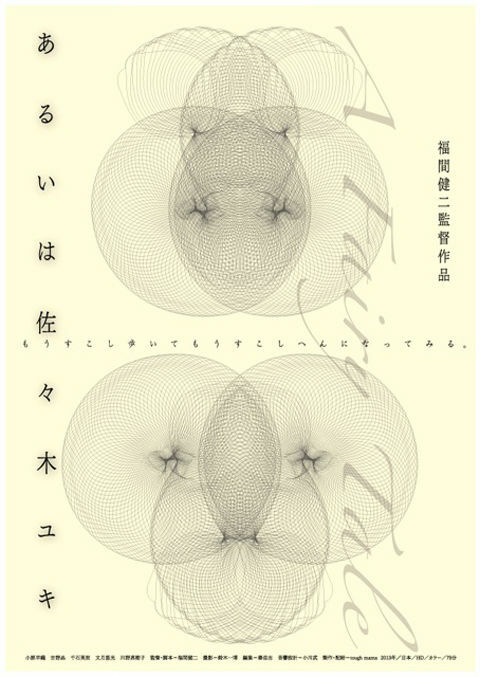 There are contained words from works of Agota Kristof, Hans Christian Andersen, Yumi FUZUKI and Kenji FUKUMA. A FAIRY TALE is a 21st century fairy tale, which Kenji FUKUMA calls “Idol Comic Poetry Fantasy”. The leading role, Yuki SASAKI, is played by Saori KOHARA, whose performance in SUMMER FOR THE LIVING has brought her into public notice. With the other members from SUMMER FOR THE LIVING, Akira YOSHINO, Hideyo SENGOKU, Makiko KAWANO, appears Yumi FUZUKI, an up-and-coming poetess, as herself. Main staffs, Kazuhiro SUZUKI (photography), Takeshi HATA (editing) and Takeshi OGAWA (sound design) supports Kenji FUKUMA in this new adventure as well as the previous work. 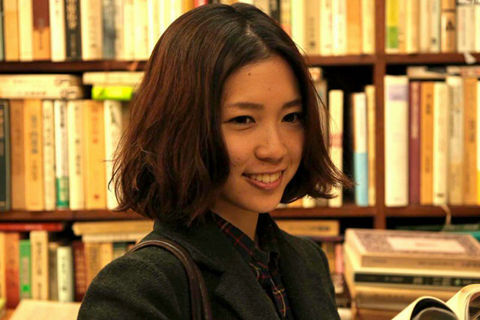 Yuki Sasaki, twenty years old, lives alone in the suburbs of Tokyo. She works part-time at the places such as a Chinese restaurant or a flower shop. She is close to Chiharu, a detective and consultant, and sometimes helps her in the work. Yuki met Chiharu when she was in France after graduating high school. Yuki was brought up in Fukuoka. Her mother is with her boy friend in Fukuoka. Yuki doesn’t know where her father and elder brother are. One day Yuki happens to listen to Yumi Fuzuki reading poetry. Yumi’s words remain in Yuki. Yuki meets Yumi and is reminded that she was a pig in a game she played as a child. Around Yuki are the characters such as Ryohei who she fancies, Kayama who is a student and dangles about her, and Shino who works in Chiharu’s office. They live on, puzzled over their own lives. Yuki doesn’t know what she’s really searching for. What is needed beyond being just alive? She writes down her creeds, that is, Sasaki-Yuki-ism, and shows it to Chiharu and Shino. Another Yuki Sasaki appears before Yuki, bringing a letter delivered by mistake. Yuki happens to meet K, the letter’s sender and spends a night with him. But he disappears the next morning. What is happening to Yuki? On New Year’s Eve Yuki meets the other Yuki again. They become Yuki A and Yuki B and spend New Year’s holidays together. They do an argument from a slight thing and Yuki B leaves. Meanwhile Chiharu tells Yuki that she is going far away, closing her office. Yuki gets a spoon from Chiharu, a magical spoon that will realize a wish. “I am still a pig. Please make me human,” wishes Yuki. Kenji FUKUMA was born 1949 in Japan. He is a poet, film critic, film maker, translator and scholar of English literature and cultural studies. He is a professor emeritus at Tokyo Metropolitan University. He got addicted to the movies during his teenage. 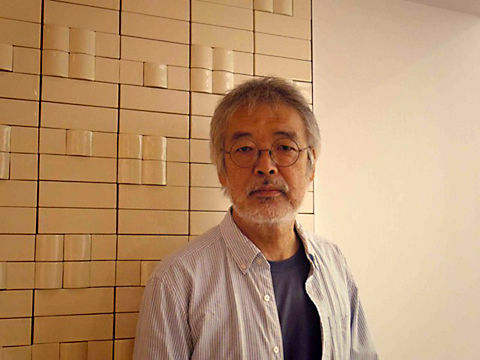 Jean=Luc Godard and Japanese film makers such as Yasuzo MASUMURA, Nagisa OSHIMA, Koji WAKAMATSU, Seijun SUZUKI and Teruo ISHII are among his favorite directors. Since late 1980s he has distinguished himself as a poet. He has studied and wrote about the works of modern poets such as Dylan Thomas and W. H. Auden. As a film critic he has chiefly discussed Japanese cinema in the 1960s. Kenji FUKUMA’s recent films, MY DEAR DAUGHTER OF OKAYAMA (2008), SUMMER FOR THE LIVING (2011) and A FAIRY TALE (2013) have drawn much deeper poetic truth from real life, conveying a complex but refreshing message to the world which seems to be crouching down totally exhausted in blindness to the future. And also in these films he has tried to give a new aspect of cinema and a fresh vision of the present world, getting through all the experiences from the era of silent films to today with digital video towards a realm unknown. In 2011 he published a bulky volume of poems, titled THE BLUE HOUSE, which won two great prizes, Hagiwara Sakutaro Prize and Rekitei Prize. Both his poems and films have got support from young people in particular.